Phil Weiss reported last week about how the rightwing media “watchdog” CAMERA got the New York Times to change its reporting on the Soda Stream factory at the Atarot Industrial Zone. After CAMERA weighed in, this was the version that was on the web. The Atarot settlement that was captured by the Jordanians in 1948 consisted of around a dozen settlers on approximately 132 acres. According to the Atarot Industrial Zone website, the zone is today built on 1500 acres, with over 180 factories and 4500 employees – every single one of them is on Palestinian land. CAMERA took credit for the The New York Times’ correction. CAMERA had informed The Times that the neighborhood, Atarot, was a Jewish owned farming village before 1948, when Jordan occupied the area and destroyed the village’s homes. Atarot is in sovereign Israeli territory as part of the country’s unified capital, although Palestinians claim it as their own…. I am not sure whether CAMERA knowingly duped the NY Times, or whether it is simply woefully ignorant about the facts on the ground. The purple on the map below is the territory annexed by the Israelis in 1967. Pre-1948 Atarot is to the left, in Area C – not yet annexed by the Israelis, although maybe that’s just a matter of time…. Although I agree with your principle here, you are not correct about the pre-1948 location of the Jewish moshav. I don't know what the map you link to labels with "pre 1948 Atarot"—maybe it was the farmland of Atarot, but the houses of Atarot were located a few hundred meters south of the centre of the present runway. 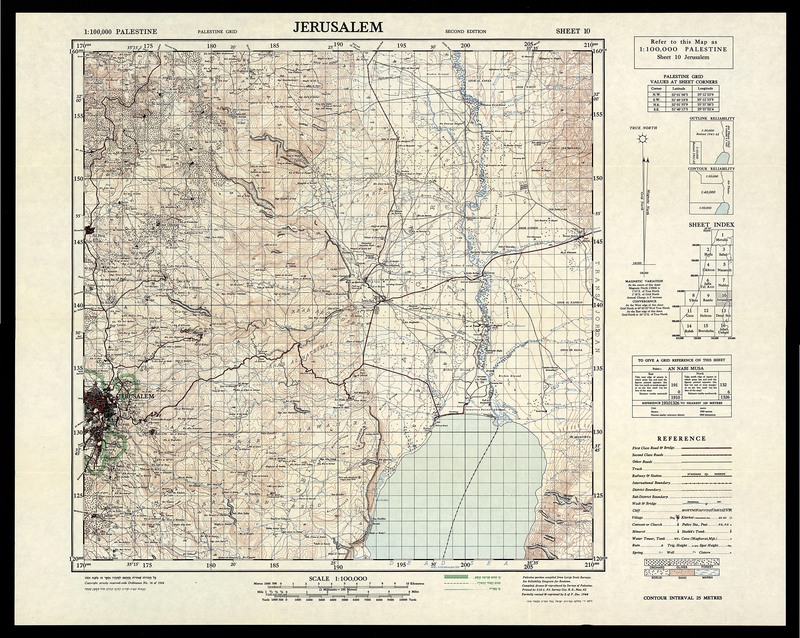 For proof, see <a href="http://cs.anu.edu.au/~bdm/yabber/100K/10Jerusalem.jpg>this 1944 map</a> at 1705/1414. It was 1km WNW of Qalandiya. The location is now inside the expanded municipal boundaries. Everything else you write is correct. Although I agree with your principle here, you are not correct about the pre-1948 location of the Jewish moshav. I don't know what the map you link to labels with "pre 1948 Atarot"—maybe it was the farmland of Atarot, but the houses of Atarot were located a few hundred meters south of the centre of the present runway. For proof, see this 1944 map at 1705/1414. It was 1km WNW of Qalandiya. The location is now inside the expanded municipal boundaries. Everything else you write is correct.